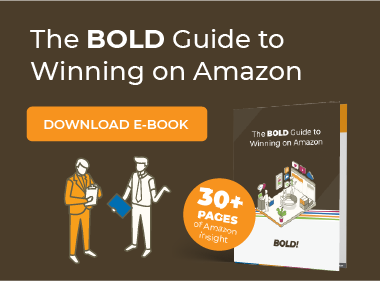 Bold Retail, Inc. is a new kind of company that's helping the next generation of great brands win faster. We've built a proprietary playbook that makes the complex world of eCommerce Marketplaces and Direct-to-Consumer (DTC) work brilliantly for our clients. Our team and business are growing fast behind strong results and client word of mouth - our average client has seen a triple-digit lift in item sales after working with us! Amazon Business - Is It Right for You? Bullseye or Bust? What's the Deal with Target Plus?